Russian air strikes are estimated to have killed more than 86,000 militants since it first entered the Syrian conflict in September 2015. Readers will note that by contrast the U.S. has been a little more vague about the numbers of militants its forces have actually killed. With civilians often bearing the brunt of casualties wrought by U.S. firepower. Why this discrepancy in casualties inflicted? Are the Russians more determined fighters? In this particular conflict they may indeed be. 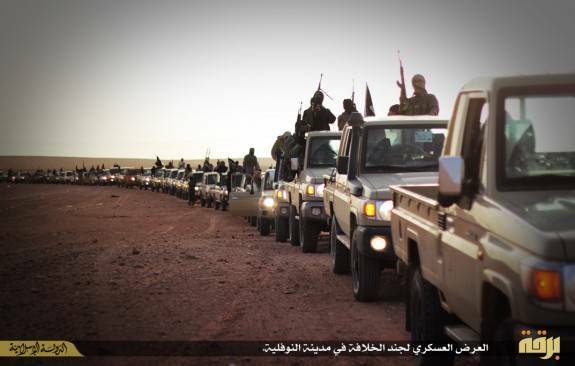 Readers will recall images from the conflict of long convoys of ISIS pick-up trucks stretching across the desert sands. They would have made ideal targets but for some strange reason we never heard of Western air strikes on them. Even though the militant convoys were travelling in broad daylight they seemed completely unconcerned about the possibility of air strikes. Russia’s intervention changed that. So we no longer see long convoys of militant pickups and four-wheel drive vehicles snaking across desert roads. Put that together with reports that the Western powers “allowed” ISIS commanders to escape and it begins to look like the West is colluding with the Sunni militants. How else does one explain the fact that ISIS continued to advance into 2014, even though U.S. forces were in the region ostensibly to fight the militants? So now we get reports like the following from the New York Times, which effectively provides a cover story to conceal what amounts to complicity between the U.S. and its ISIS proxies. Because that’s what they are. The U.S., Israel and their gulf allies are using the Sunni militants to do their dirty work. First they were used in an attempt to oust President Assad, which very nearly succeeded, until Russia intervened. In other words, the NYT like the rest of the corporate media, is helping to sustain the illusion that the U.S. and its allies are actually fighting the militants. When in reality they are using them as proxies to wreak destruction against any regime the West chooses. Ed. 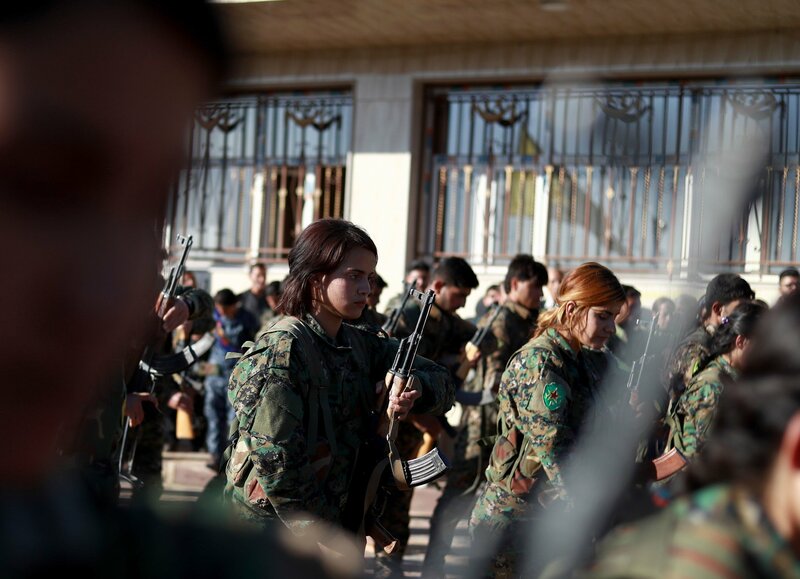 An American-backed military offensive has stalled against the Islamic State’s last vestige in eastern Syria. Last week, the Islamic State claimed responsibility for an attack on buses carrying Coptic Christians to a monastery in Egypt, which killed seven people and wounded 19 others. Dutch officials said in late September that they foiled a large, multisite terrorist Islamic State attack there. In Afghanistan, the Islamic State’s local branch has conducted a spate of high-profile attacks against civilian and government targets in Kabul while carving out a sanctuary in the country’s east, Mr Travers said. Other Islamic State affiliates in Egypt’s Sinai Peninsula, Libya, Yemen and western Africa continue to mobilize fighters and execute attacks against local governments and group rivals, fomenting and leveraging instability in these already beleaguered areas.